The fast growing loneliness and the silent misery of the more vulnerable persons in Switzerland. To be committed and able to adapt to circumstances, to overcome difficulties and fulfil our mission. Always have in mind public interest, and be useful to all as a united team, acting with respect, transparency, exacting standards and reliability. Serve all our beneficiaries and collaborate with all our partners and members in a fair and non preferential way. Develop our pioneering spirit and capitalize on our ability to be open, curious and motivated to remain on the leading edge of new development possibilities, while keeping exacting standards for safety and controls. Continue to inspire personal vocations to bring more people, corporations and institutions to embrace our ideal and mission. Keep our activity independent from external influence, intellectually and financially. Our funding must therefore remain 100% private. Just For Smiles has designed and adopted exacting standards to guarantee the safety of its beneficiaries, so that families, institutions and service/equipment providers are satisfied. Science For Smiles, daughter foundation of Just For Smiles, has scientifically proven the now well known benefits of sport – handicap practice. Just For Smiles is a foundation which has been acknowledged of public interest, and as such is eligible for tax deductibility. They are the people who, through their courage and strength, provide the real gift. Our Fellows are living either with their families or in institutions, and they register through our dedicated internet platform www.justforsmiles.ch . 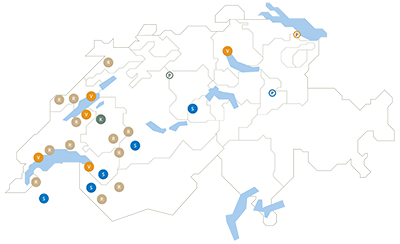 They are mostly of Swiss origin, but some are from other countries, and we would like to see more of our European neighbours to discover and enjoy our activities, to eventually duplicate the model abroad. Just for Smiles is committed to the long-term development of adapted sports activities. 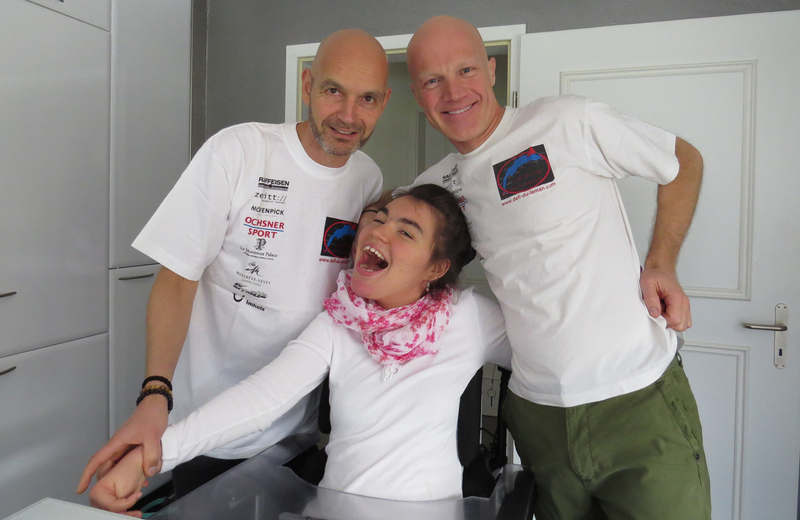 Just for Smiles was the brainchild of Mike Boon and Patrick Sumi who, in 2004, ran around Lake Geneva to raise the funds required to create an association whose role would be to support the development of disabled sports. Creation of the first disabled hiking site with the Swiss association of mid-mountain guides.